This ancient Irish tune has been used by Beethoven in his Irish Songs and the 'Celtic' Seventh Symphony. It has been since Custer, the regimental marching song of the US Seventh Cavalry. It is often heard in movies depicting the US cavalry. It is sometimes known as Garryone. From the Irish 'Garrai EÃ³ghan's' meaning Owen's Garden. 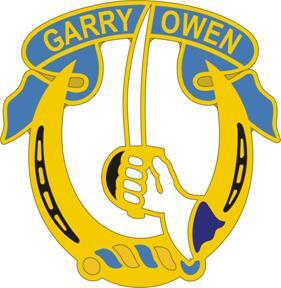 Garryowen is a town near Limerick in S.W Ireland.